Not a day goes by without seeing mistakes in spelling and grammar in our daily newspapers. That’s a given, since all of them that remain (and especially the ones that publish three times a week!) have cut back on editors and turned reporters into tweeters and bloggers. Most of these information compilers had little ability to write correctly to start with, and now they must file more articles with less time and less, perhaps nonexistent, oversight on what they write. What’s galling here is not only that the reporter misspelled “tentative” to start with, or that it somehow slipped through the editing process and went online with an error in the headline. It’s that the original post was updated, re-posted, and the error in the headline remains. Good grief, Charlie Brown! Can’t anyone get it right anymore? When in doubt, don’t guess. Hire an editor! AgriLife is one of the country’s largest purveyors of products for a simpler lifestyle. They have been very successful providing cheese-making kits to their customers for the past two years. Smith Brothers Food Markets wants to emphasize their growing line of cleaned and pre-cut vegetables for busy, active cooks. Team: Singular or plural pronoun? In both sentences, all the pronouns should be singular (it, its, itself, not they, their, themselves). While generic collective nouns (such as army, crowd, team) can be singular or plural, depending on whether the group is acting in unison or as individual members, named businesses, schools and organizations are always singular. This seems logical to me. Many individuals comprise a business, company, governmental unit. 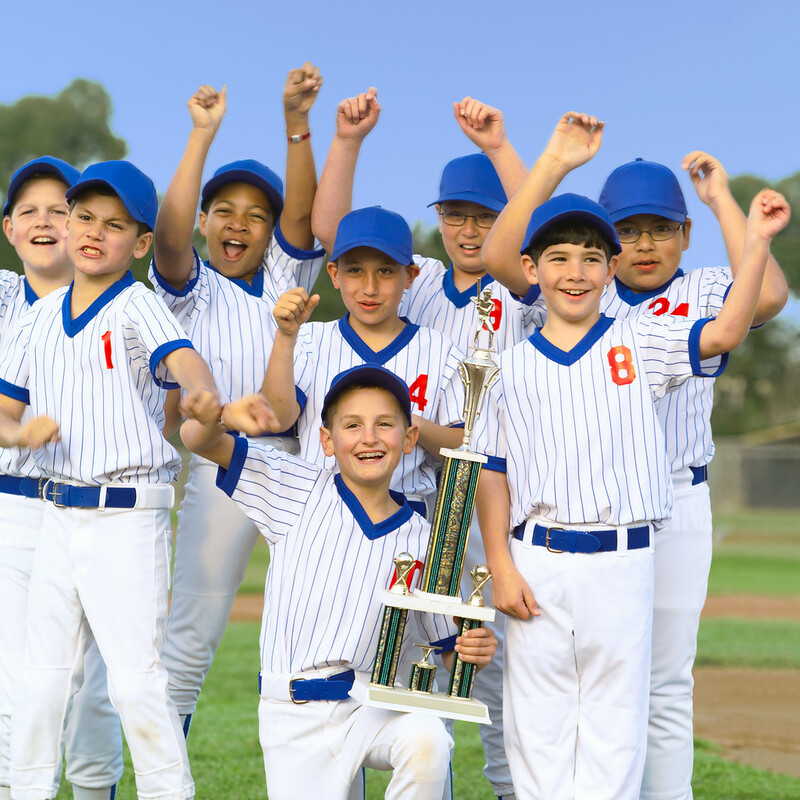 school, or team, but each organization operates as a single entity. At the rehearsal, the cast took their places so that each actor could see the spacing between them. The council disagree whether they should overturn the mayor’s veto. If deciding whether a particular collective noun should be considered singular or plural confuses you, there are ways to write around it. Substitute a plural noun for the collective noun, allowing use of the more natural-sounding plural pronouns: The cast (actors) earned $500 each for their roles. Add the word members after a collective noun. Members, serving as a plural antecedent, requires a more natural-sounding plural pronoun: When the curtain falls, the cast members take their bows. The council members voted to return the surplus money to the taxpayers. Still having a hard time with this collective thing? There’s a smarter, more effective alternative: Give up and hire an editor! Aggravated by your own attempts to reach that ideal? Here’s a prescription for quick relief: Take two ibuprofen and call an editor in the morning. Among my many aggravations, none is more constantly inview than bad interviewing. Not interviewing for a job, but interviewing in an information-gathering, journalistic sense. Bad examples appear every day on TV, radio and the Internet. Most of these talking heads don’t know how to conduct an interview. They make me want to holler. 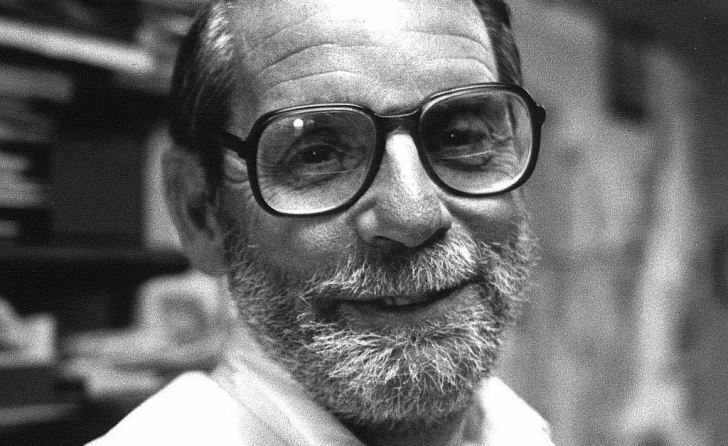 In my dual roles as newspaper editor and professor of news writing, I taught and coached many inexperienced and aspiring journalists in how to conduct interviews. Not so they would become “gotcha” interviewers like Mike Wallace, but to help them come away from each interview with useful information and catchy quotes for their articles. But interviewing people is hard, and it’s a hard skill to develop. An interviewer own confidence and personality are part of it, but there are also mechanics involved. “Don’t rely on memory.” Regardless of how you’ve accumulated notes or recordings from an interview, transcribe them and flesh them out as soon as possible afterwards. 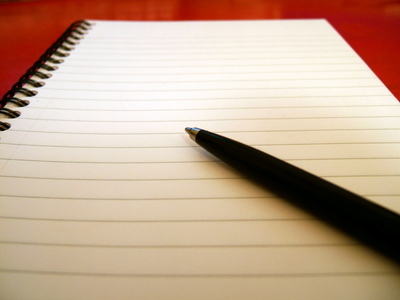 “Make clear what you are doing and who will publish what you write.” In other words, don’t take notes surreptitiously, when you think no one is looking. Do it openly, and be up front about who you are and why you are asking these questions. I’ve got a few a few more suggestions about interviewing. Keep questions short while encouraging longer responses by asking the followup questions above. Never suggest an answer with your question. For example, the question “How huge was that decision?” leads the responder to the prescribed answer. Questions should let the interviewee supply the descriptions, not merely agree with or refute the questioner’s. Make an interview as conversational as possible. Look at the interviewee. Don’t let note-taking bog it down. Before the interview, find out as much as you can about the person you’re interviewing. Have at least a short list of questions ready when you start, and always be ready with the next question. Don’t allow dead air. If you have questions that might irritate the interviewee, save them for last. To bring that kind of editing sense and sensibility to your own documents, you probably need a professional. Hire an editor. 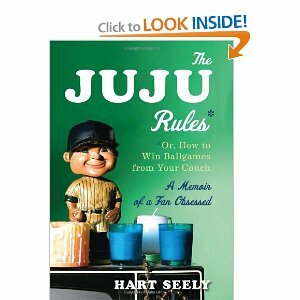 Hart Seely’s The Juju Rules: Or, How to Win Baseball Games from Your Couch has received many deserved accolades since its publication in April 2012. Part personal memoir, part ode to the New York Yankees and part manual for obsessive fan behavior, The Juju Rules is a book any fan of baseball writing would enjoy. This got me to thinking, though: Does juju differ from mojo? After moving into Safeco Field in 1999, the Seattle Mariners used the slogan “Sodo Mojo” for a few seasons, and it worked better than any other slogan they’ve had before or since (including the ill-timed “Believe Big” (2008), which resulted in a 101-loss season and declining attendance). With Sodo Mojo, the Mariners won 116 games in 2001, an all-time record for Major League Baseball. On the other hand, the Mariners are one of only two major-league franchises never to have reached the World Series, let alone win it (with better juju, the Yankees have won 27). My exhaustive research could only deduce that both mojo and juju can refer to a spoken or otherwise transmitted spell or to an object manipulated for that purpose. 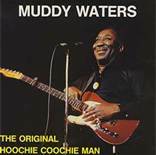 Both of African origin, the words mojo and juju can denote a magic spell or hex, a magical power (as in he works his mojo on the tennis court, or the blues band has lost its mojo), or to a fetish, charm or amulet and the magic they possess. Juju or mojo? If you can’t pick the right word on your own, hire an editor. While it’s not part of their official job description, two Major League Baseball managers provided useful grammar lessons this week. Who says sports isn’t educational? 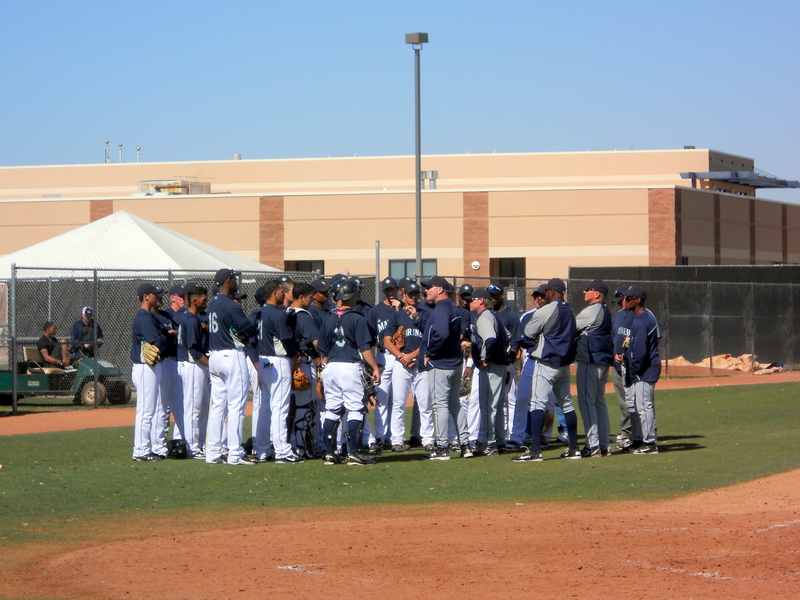 Mariners manager Eric Wedge (center) addresses players at spring training. 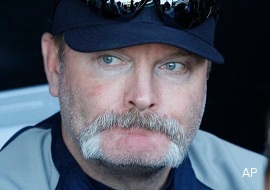 Seattle Mariners manager Eric Wedge benched starting shortstop Brendan Ryan after the normally slick-fielding Ryan failed to complete two double plays because of poor relay throws to first base. Asked whether he told Ryan why he was sitting, Wedge said to reporters, “I think it’s inferred.” Seattle Times reporter Geoff Baker blogged that Wedge had replied “with a long, drawn-out roll of the r’s” to emphasize his point. Sorry, Skip, but it’s “E-Wedge” on that one. Riding the bench might make Ryan infer that was his manager’s message, but Wedge was actually trying to imply it, not infer it. Use “imply” when something is suggested without being explicitly stated, and use “infer” when someone is trying to arrive at a conclusion based on evidence. To imply is active: Wedge’s action with Ryan implies that the manager is benching the shortstop because of the poor defensive execution, while Ryan might infer that Wedge didn’t think highly of his recent level of performance. Well, not exactly. If Ozzie had wanted to say he was “incapable of human speech,” he would have been correct, but obviously lying. However, since “stupid” and “dumb” are really synonyms (both defined as “lacking intelligence”), then Ozzie’s statement is clearly incorrect. If Ozzie admits that he’s stupid, he is also admitting he’s dumb – about as dumb as he was when he started praising Fidel Castro in the first place. 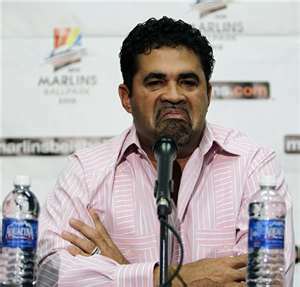 Of course, using baseball managers as examples of proper wordsmithing implies they ought to know something about it. They don’t. That’s why they need an editor. When Gannett began publishing USA Today in 1982, journalism pundits roundly ridiculed the five-day-a-week paper for its “McJournalism” style: short, punchy articles as lean as editors could make them. Today, in the Internet Age, that style almost seems long-winded, at least compared to 140-character-or-less tweets. 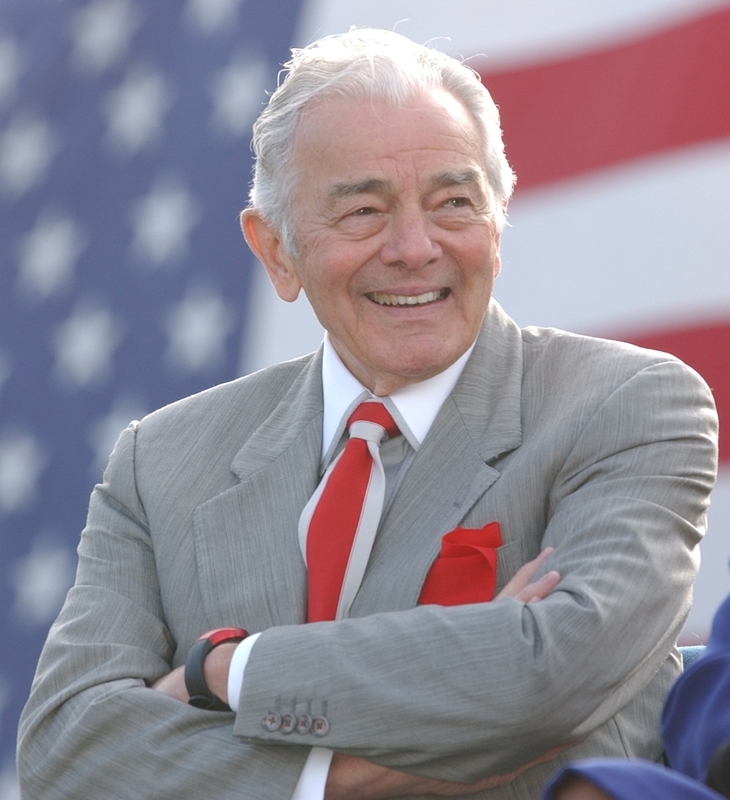 USA Today founder Al Neuharth’s Plain Talk of March 25, 2011, discussed how he writes his weekly column, which is never more than 300 words. “When I do the first draft,” Neuharth wrote, “it sometimes runs 500 words or more. That’s easy. Trimming it down is difficult. That sometimes takes me two or three hours. “Getting things short and to the point us the most important thing we should keep in mind in our personal or professional lives. In writing or speaking. From grade school to high school to college to our job. That’s great advice. But when you don’t have the time to polish writing yourself, find yourself a good editor.